Ample pull out storage for additional polishes and salon supplies. 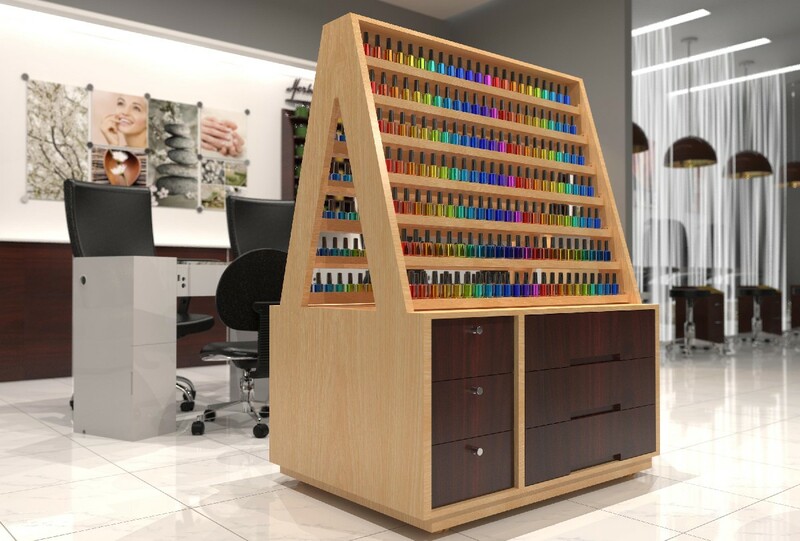 Fits 406 bottles of nail polish bottles finished with wooden racks. You will earn 675 Points for purchasing this product. Dimensions: W: 42" x D: 29" x H: 55"